The green roof project is conducted for the THPA at a former Port Authority building. 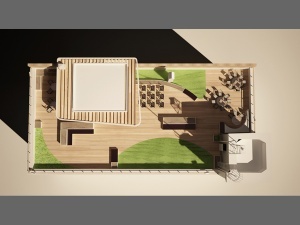 The main concern was to set a space capable for hosting events for a limited number of people, in a friendly terrace environment under environmental and construction concerns. 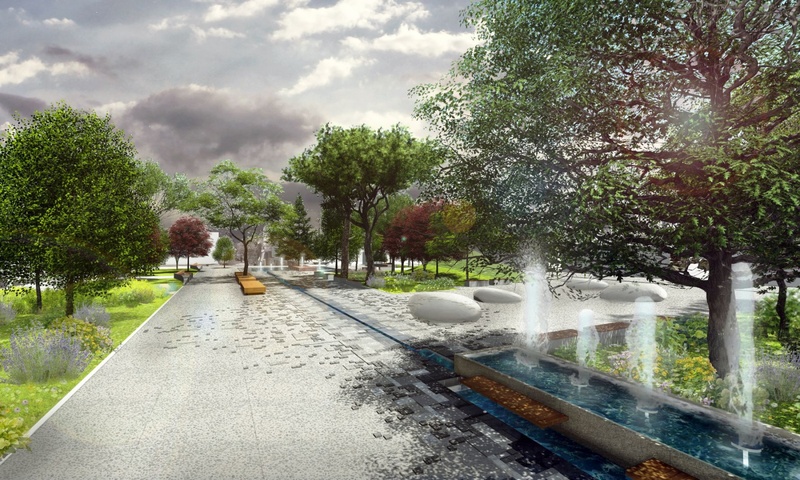 Main objectives of the project were social, utilitarian, ecological and environmental. 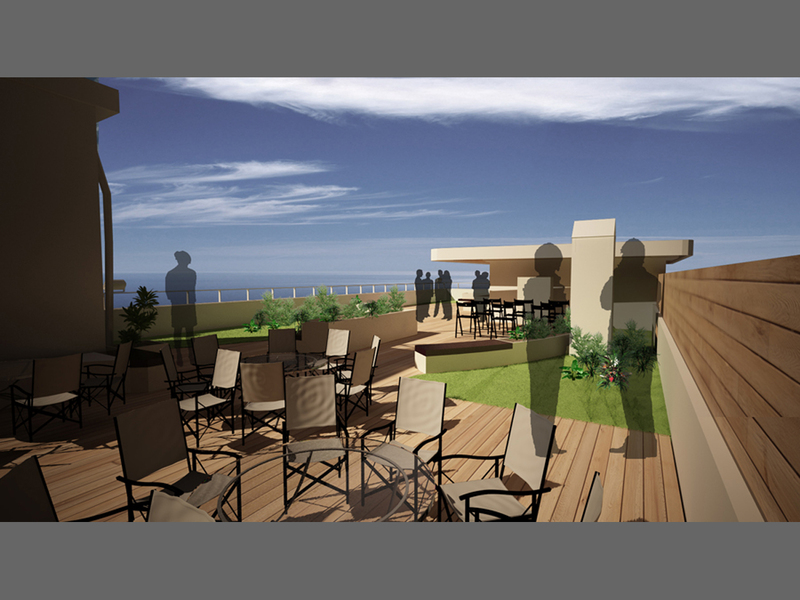 The concept was the functional use of the terrace, the ‘’celebration’’ of the magnificent view, as well as application of new techniques to gluten the terrace slab. 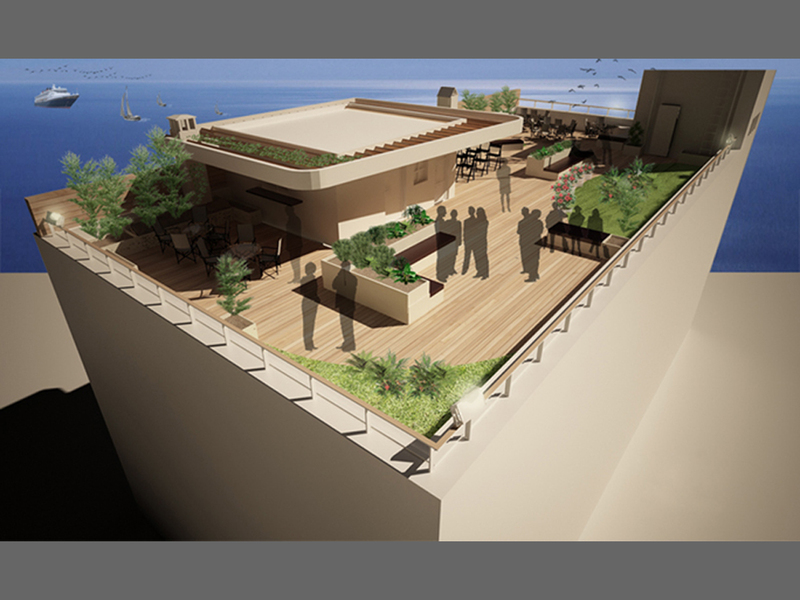 All above, have as a result the creation of an exemplary space that can be used as a pilot for future interventions of utilizing roofs on existing buildings. 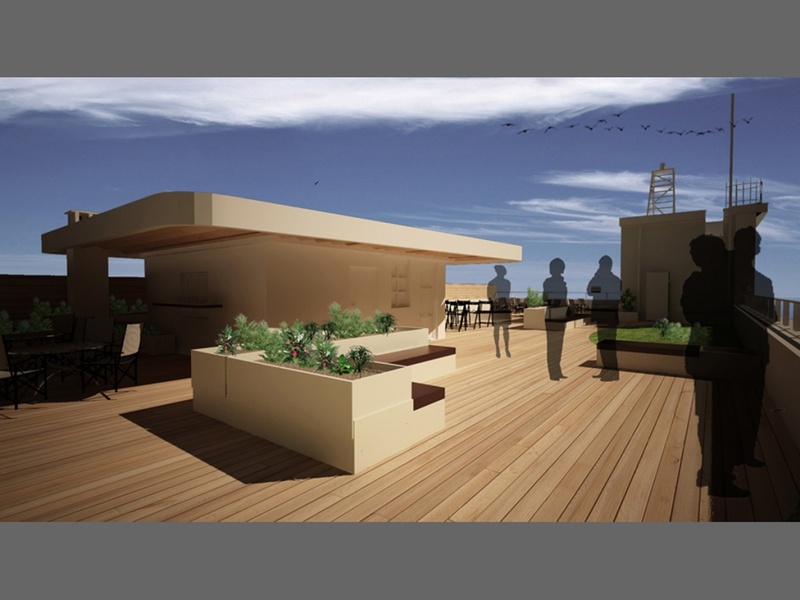 Moreover, great importance in the project was the shading hives, rain management and insulation on terrace and roof on the building in specific areas where the slabs are weak. For the proposal, was chosen the extensive type of green roof in areas where mobile and constant loads should be reduced. 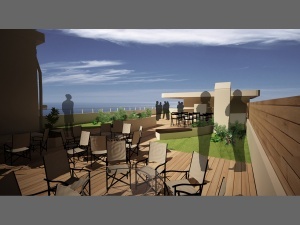 A metal frame with wooden blinds was created around the staircase space and the service room on the terrace. Wooden deck is placed on mounting system, spaced from the existing concrete floor. A plant variety were selected, have small requirements in water, resistance to long exposure to the sun and wind and require minimal maintenance. 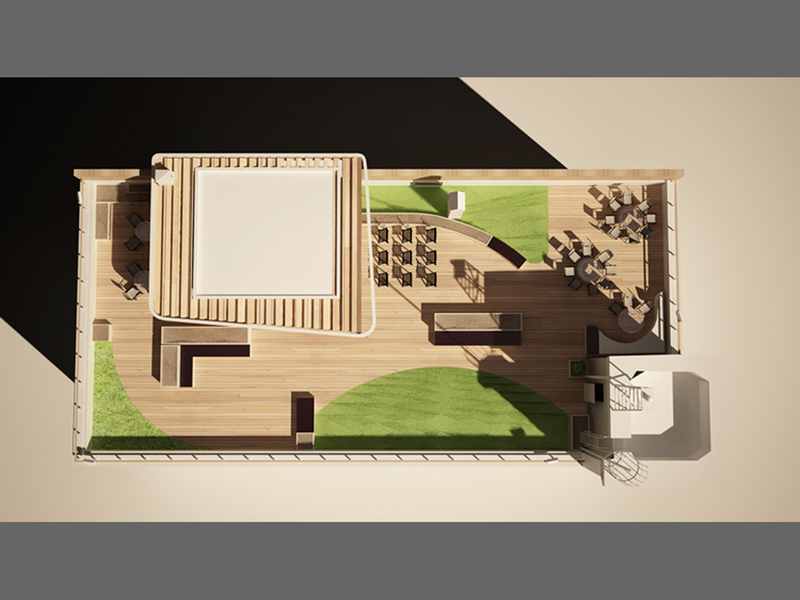 Sitting areas are proposed for dinner events, coffee events, break areas, press conference area, while a small self- service causine can serve the terrace as well the floor offices in the lower levels.